Saint-Jeanne-Cap-Ferrat viewed from The Route ‘Moyenne Corniche’. However, unlike being based in a mountain village, the Côte d’Azur’s climate is more predictable with sunshine 300 days of the year. Then of course, there is the famous coastline. 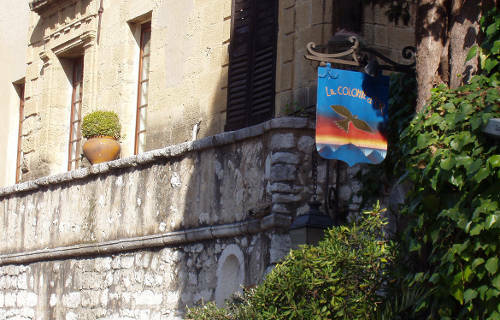 Cannes, Monaco, Nice, Éze, St Tropez and more are all within easy reach from Saint Paul de Vence. With such a variety of options, you will never be lost for something to do, or somewhere to go. If you are looking for somewhere warmer to cycle in winter, look at this article about winter cycling. Self guided cycling routes remove the risk of making an error when exploring an unknown region. 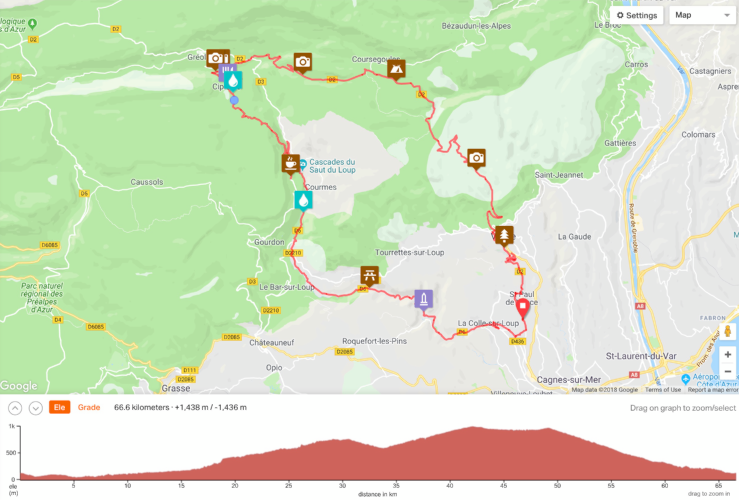 Our routes are built with knowledge garnered from 20 years of experience cycling in this beautiful and challenging part of France. By answering a few questions, routes can be created based on your abilities, your available time and the current climate. All routes are fully marked up for turn by turn navigation including points of interest and information such as water fountains to recharge your bidon, cafés to take a break and must see places and views. The routes can be used on a GPS device or smartphone with spoken directions allowing you to just enjoy the ride. If preferred, routes can be printed along with a cue sheet. All routes are created with Ride With GPS. The best route building software and accompanying free mobile app. If you need to rent a bike then we can arrange that for you. The bikes we have for hire are Bianchi Intenso fitted with Ultegra 11 speed and include, pedals, helmet, pump, tubes and levers. The Price includes free delivery and pickup depending on your location. The villa is located just 20 minutes from Nice airport, in the commune of Saint Paul de Vence, one of the most famous medieval villages in the Côte d’Azur. If you are looking for accommodating more than 2 people or a group, then we have a number of villas and apartments in the commune that fit the bill as bike friendly accommodation. Please contact us for more details.